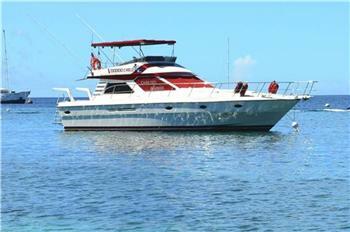 12 Guests maximum for day charters (2400 $US). 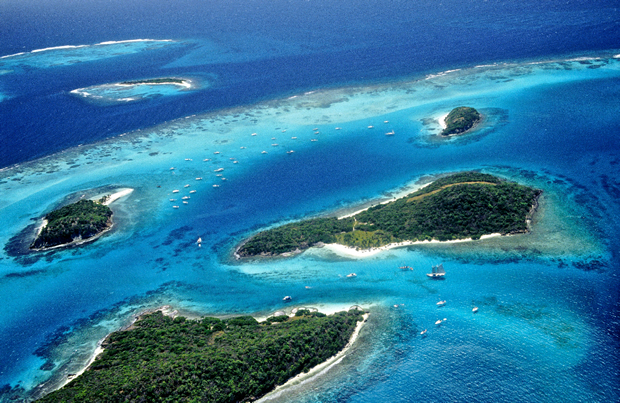 6 Guests for full or half day Sport Fishing (1500 - 2400 $US) 4 Guests max for overnight charters with 3 crew members (13,500 US pw). 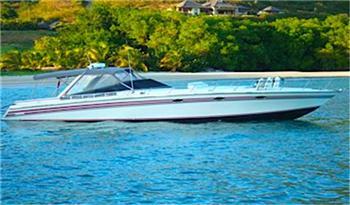 Sunset Cruises $1000US Experienced, fully licenced Captain. 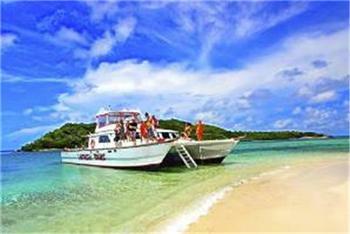 Snorkel Gear, soft drinks, water & rum punch provided. Enjoy sitting outside on the spacious, shaded deck to appreciate the scenery, or escape the heat & grab a drink at the bar inside the air conditioned cabin. 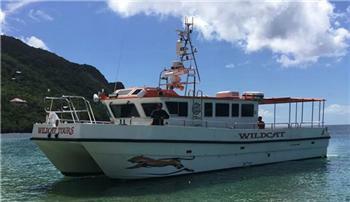 Equipped with some of the latest navigation technology and safety equipment. 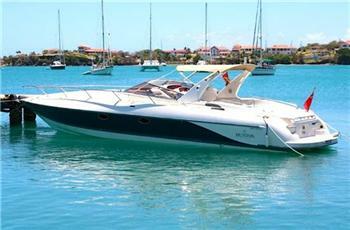 Large (42 ft) and fast triple outboard engined speedboat. Wonderfully comfortable with cushioned seating for up to 25 guests max. 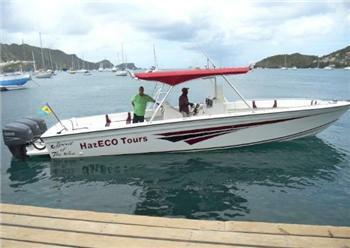 Perfect for island transfers for groups and day charters throughout the Grenadines. 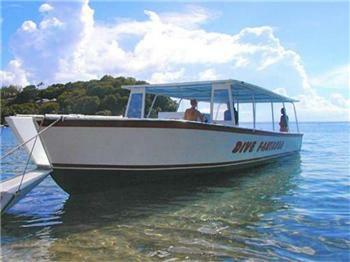 A cleverly designed boat - the large size & fore access makes it perfect for diving & snorkeling expeditions & coastal tours.